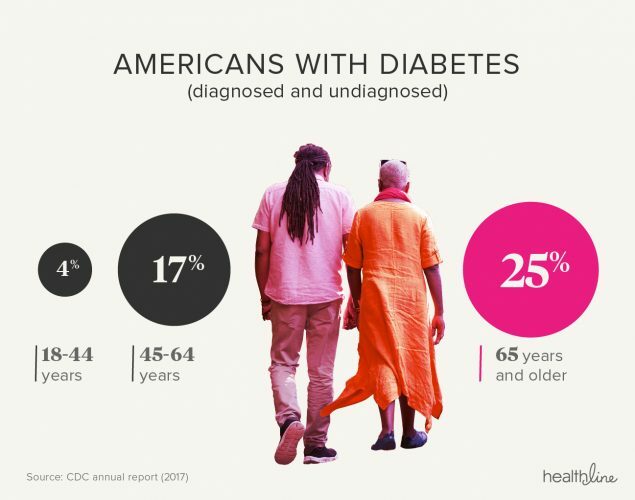 In a special partnership with Healthline, dLife brings you a look at the most recent diabetes facts and statistics. According to the American Diabetes Association (ADA), people who develop type 2 diabetes nearly always have prediabetes. 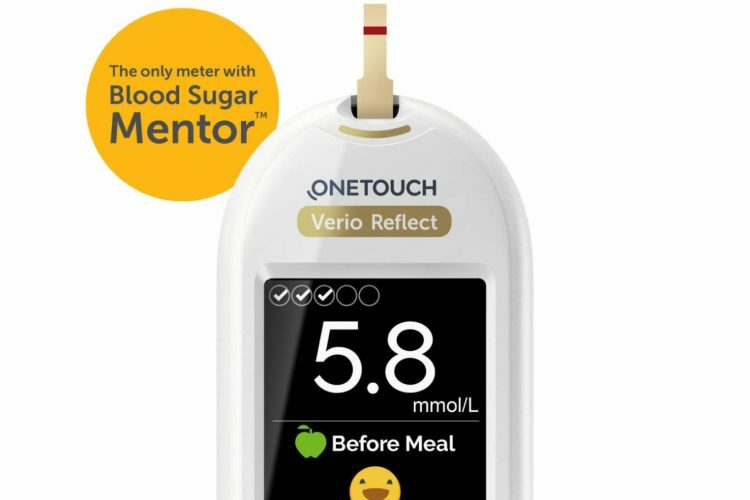 This means blood glucose levels are elevated, but not yet high enough to be considered diabetes. 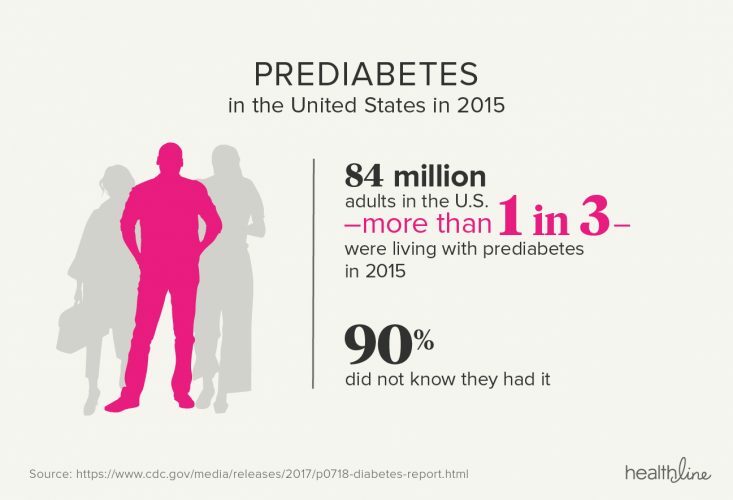 The Centers for Disease Control and Prevention (CDC) estimates 84 million adult Americans have prediabetes, and 90 percent go undiagnosed. With type 1 diabetes, the pancreas can’t produce insulin. According to the ADA, 1.25 million Americans have this disorder. This is about 5 percent of all diagnosed cases. The ADA estimates that 40,000 people receive a type 1 diagnosis each year in the United States. Type 2 diabetes is the most common form of diabetes. With this disorder, the pancreas can initially produce insulin, but your body’s cells can’t respond to it effectively. This is known as insulin resistance. The CDC notes that 90 to 95 percent of diagnosed cases are type 2 diabetes. 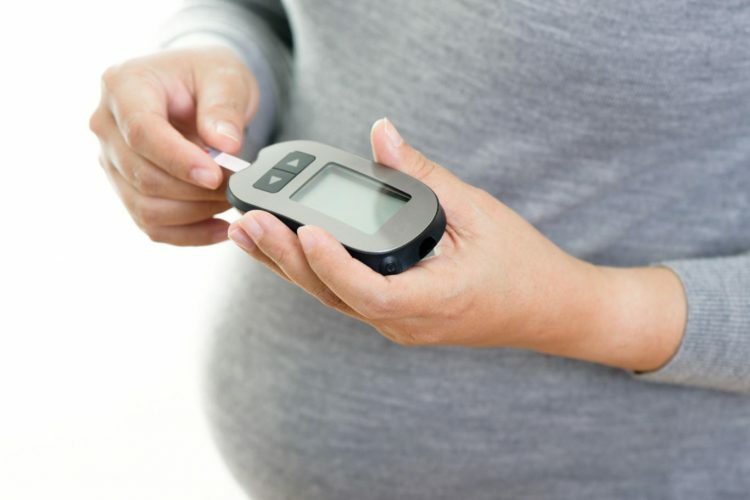 This form of diabetes develops during pregnancy. The CDC estimates between 2 and 10 percent of pregnancies in the United States are affected by gestational diabetes every year. According to the National Institute of Diabetes and Digestive and Kidney Diseases (NIDDK), women with gestational diabetes will have a greater chance of developing type 2 diabetes within 10 years. According to the CDC, more than 100 million adults in the United States are living with diabetes or prediabetes. 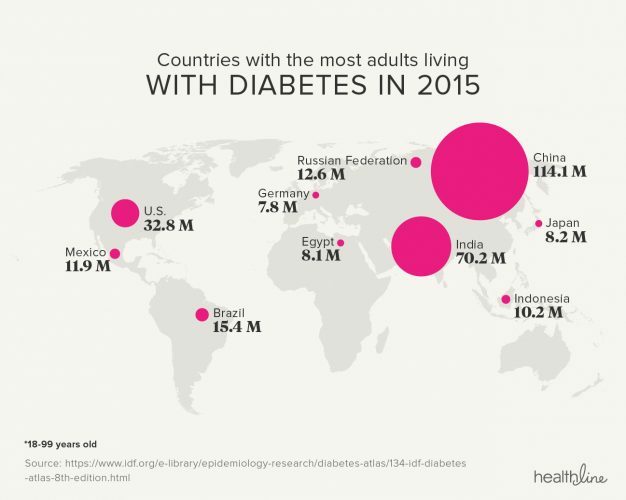 They note that in 2015, 30.3 million Americans, or close to 10 percent of the population, had diabetes. Of that amount, the ADA estimates 7.2 million didn’t know they had it. 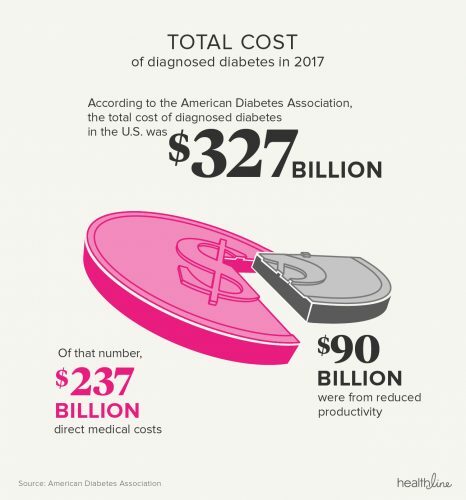 The CDC’s annual report shows that diabetes diagnoses for Americans age 18 and older are increasing, with new diagnoses occurring at about 1.5 million per year. Those numbers were equal for men and women. Previously known as juvenile diabetes, type 1 diabetes is usually diagnosed in childhood. Only about 5 percent of people with diabetes have type 1, estimates the ADA. While factors such as genetics and certain viruses may contribute to this disease, its exact cause is unknown. There’s no current cure or any known prevention, but there are treatments to help manage symptoms. The risk of developing type 2 diabetes increases as you get older. You’re also more likely to develop it if you’ve had gestational diabetes or prediabetes. Other risk factors include being overweight or having a family history of diabetes. While you can’t completely eliminate the risk of type 2 diabetes, a healthy diet, weight control, and regular exercise may help prevent it. Blindness is a common diabetes complication. Diabetic retinopathy, in particular, is the most common cause of blindness among people with diabetes. It’s a leading cause of vision loss among working-age adults, according to the National Eye Institute. Diabetes is also a leading cause of kidney failure. Nervous system damage, or neuropathy, affects a large portion of people with diabetes. Many people with diabetes have impaired sensation in the hands and feet, or carpal tunnel syndrome. Diabetes can also cause digestive problems and erectile dysfunction. The conditions also increase the risk of high blood pressure, heart disease, and stroke. Diabetes can also lead to amputation of the lower limb. According to the ADA, diabetes is the seventh-leading cause of death in the United States. 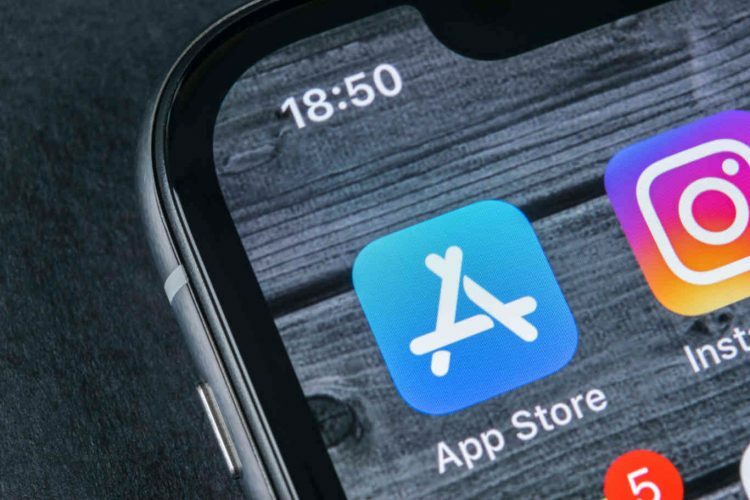 This article originally appeared on Healthline.com and has been published with permission. Illustrations by Diego Sabogal and Ruth Basagoitia.